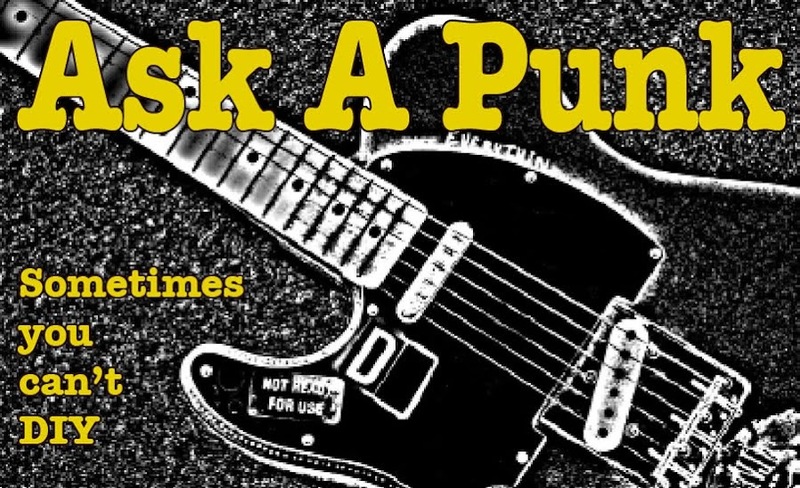 Ask A Punk: Art isn't Pretty. I disagreed with your advice a few weeks ago to the woman musician & writer who felt like giving up. I would have told her that, if she feels that way, she should give up, and I'm not saying that to be a jerk. 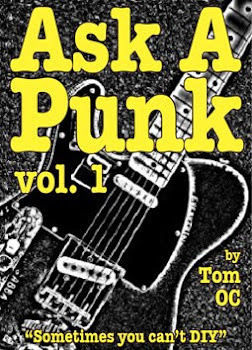 I love seeing good bands and reading good books, but I know that even though I'm still fairly young I will NEVER hear all the good bands that are out there nor will I read all of the good books that have already been written. Sometimes I wish everyone would just STOP creating new stuff for ten years so we could all get caught up. I'm kidding of course, but not completely. But certainly anyone who is feeling ambivilent about contributing to the endless avalanche of new stuff (books, songs, blogs, videos etc) shouldn't be encouraged to just keep shoveling her halfhearted or halfassed contributions to the ever deepening pile. Why didn't you just tell her to take a breather? - Too Much. In a way you're right. I was thinking about this same topic this week because a friend of mine told me she wanted an ebook reader for Christmas (not from me of course, but just that she wanted one.) ... Since some of those things can hold thousands of books, I asked her how many books she had read so far this year, her answer? "one or two" ...so I was trying to figure out how a gadget that would hold, for her, 500 years worth of reading material would possibly make sense... and that got me thinking about the fact that few, if any of us, will read another 1000+ books before we shuffle off this mortal coil... and yet, there are over a million titles on amazon and there are new books published every year... and then you start thinking "my ipod can hold 40,000 songs" ...how many can I listen too? and there are more new songs every day, not to mention millions of recordings in thousands of genres that I'll never, ever get around to hearing... What do you do with this overwhelming multitude of options? ... you make choices, and they aren't easy ones. OK, a part of me agrees with you. The hardest part of making art is often convincing yourself that you have the will/desire/talent to do it. You have to realize and accept that you're making the choice to sit down and spend days/months/decades pursuing something that you might not even be able to define and which might or might not make any difference in anyone's life (including your own) when/if you ever manage to finish it. There is a certain warrior spirit that has to be a part of any creative person's make-up, otherwise who would have the audacity to bother trying to paint from the heart or write a new novel or song? I agree with this on some levels... If you need a lot of encouragement to do your art, then chances are what you're craving is the encouragement, not the creation. I think the real artist is going to find a way to make his/her art IN SPITE OF a lack of encouragement from the outside world. I've known teachers in various artistic disciplines who approach their jobs with this in mind... If a few harsh critiques from them is enough to stop you, then chances are you don't want to do it that badly. I've had teachers like that too - It seems that the sole purpose of some art programs is to put obstacles in the students' way in an attempt to weed out the less-dedicated. This might indeed be a useful service to art and civilization but, on the occasions when I've been the teacher, I've never used this technique... because how does one tell the difference between a rigorous thinning of the herd and just flat-out bullying by a douchbag teacher? On the other hand, I've tried never to blow smoke up people's asses either. I'm honest, sometimes to the point of bluntness sure, but the underlying thing is always an attempt to point them toward improvement, not browbeating them into giving up. Hmmmmm. This sounds like I'm getting off the topic again, doesn't it? I think it is because I spent some time this past year wrestling with these concepts. I don't think people should be discouraged from pursuing their dreams, but I also think that anyone who would be easily discouraged or talked out of their dreams is probably pursuing the wrong path for the wrong reasons. In these weird times DOES 'The World' even 'need' Art? ...I think it does, especially because 'The World' doesn't think it does... but no one is going to beg you for your art, no one is going to beg you to create something new. You have to tune into the frequencies of your soul and create something that 'they' didn't even know they needed, until you showed it to them... and if you think you can do that, then it doesn't matter what I, or anyone else, might say to discourage you... You'll find a way to create it.